Life is filled with chaos, and we have to learn how to work and solve problems in the midst of it every day. These GFC Learn Free interactive lessons give you the opportunity to experience these daily challenges without real-world consequences. 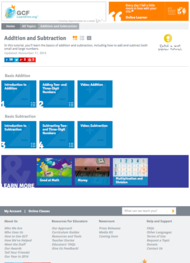 In this GFC Learn Free tutorial, you'll learn the basics of addition and subtraction, including how to add and subtract both small and large numbers. 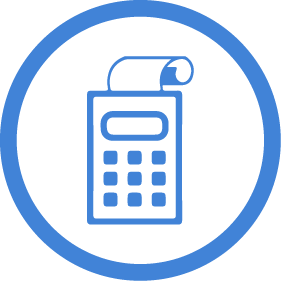 Want to have a better understanding of decimals and percents? 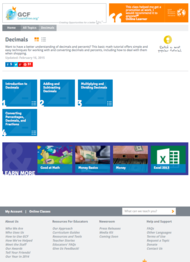 This GFC Learn Free basic math tutorial offers simple and easy techniques for working with and converting decimals and percents, including how to deal with them when shopping. Do fractions give you trouble? 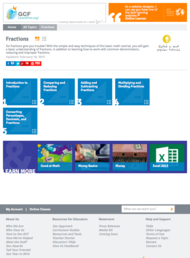 With the simple and easy techniques of this GCF Learn Free basic math tutorial, you will gain a basic understanding of fractions, in addition to learning how to work with common denominators, reducing and improper fractions. 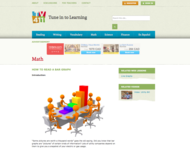 This site is to be used as a free online tutoring service. 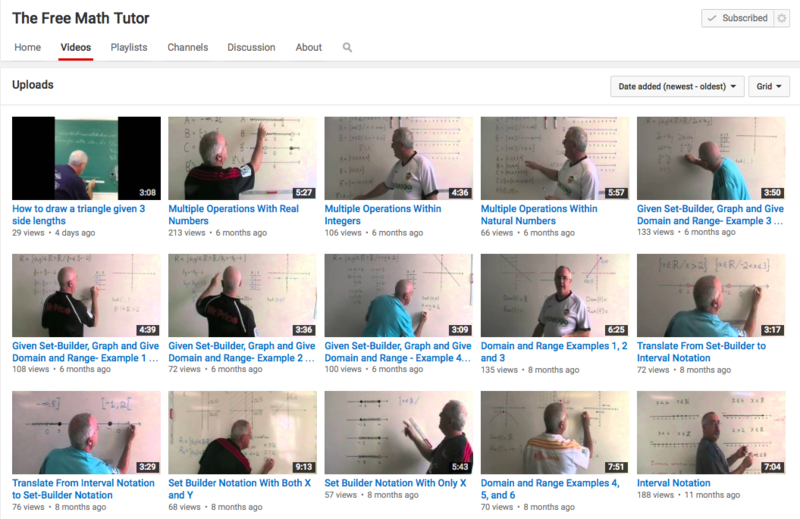 Select the topic you wish to study, and view the videos as many times as you want. 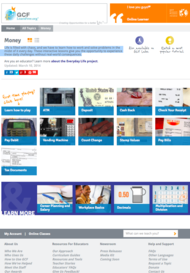 For some courses, you can print the Example sheet, the Exercise sheet and the Answers sheet. 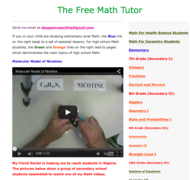 Use Doug's Free Math Tutor videos to learn and practice important math concepts. 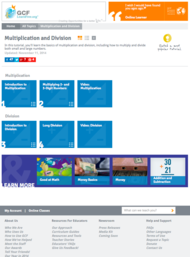 In this GFC Learn Free tutorial, you'll learn the basics of multiplication and division, including how to multiply and divide both small and large numbers.